Stampin' Up! UK Demonstrator - Teri Pocock: Awards!!! I have been fortunate enough to receive two awards recently. Beautiful Blogger Award from Teri S.
It happens that I have already received both of these awards in the recent past and have passed them on to some fabulous ladies who have the most gorgeous blogs. So this time I would like to pass both of these awards onto a wonderful young man. He is only 12 years old and has a wonderful talent for creating the most gogeous cards ...... so JON - these are both for you! 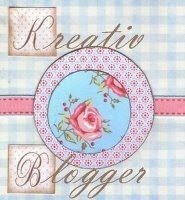 Thanks so much for these beutifal blog awards i am over the moon they are my first. Thanks for giving Jonathan these awards, he is staying at his nan & grandads at the moment in Scotland, the minute he read the comment he was on the phone straight away to tell me, totally over the moon.